In the fall of 2010, 11-year-old Mallory Fundora put only one item on her Christmas wish list: She wanted money to help orphans from Uganda that she had met when their choir visited her church. 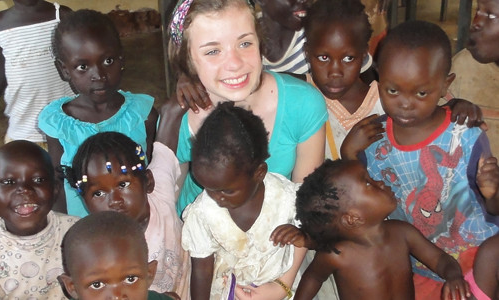 Check out the amazing video Mallory made about her travels in Uganda. What mattered most to Mallory? What broke her heart about it? What did Mallory decide to do about it? What challenges did Mallory face on her journey? Previous articleWhat’s More Awesome Than Chocolate Bars? Mark Moran founded SweetSearch in 2007 to help educators and students use the Internet effectively and responsibly. Mark is also the author of a course that helps students become self-aware, passionate and empowered change agents who know they matter and have a contribution to make to the world. Previously, Mark spent 15 years as a corporate attorney and 8 years as a financial analyst. Mark has a law degree from Fordham Law School, an M.B.A. from Fordham Graduate School of Business and a B.A. in Economics from the University of Virginia.